Travel and vacations are expensive, and Alaska travel is no exception. Alaska is a big, isolated place with a short summer season, and those factors combined can sometimes scare people toward destinations where the goods and services are cheaper. 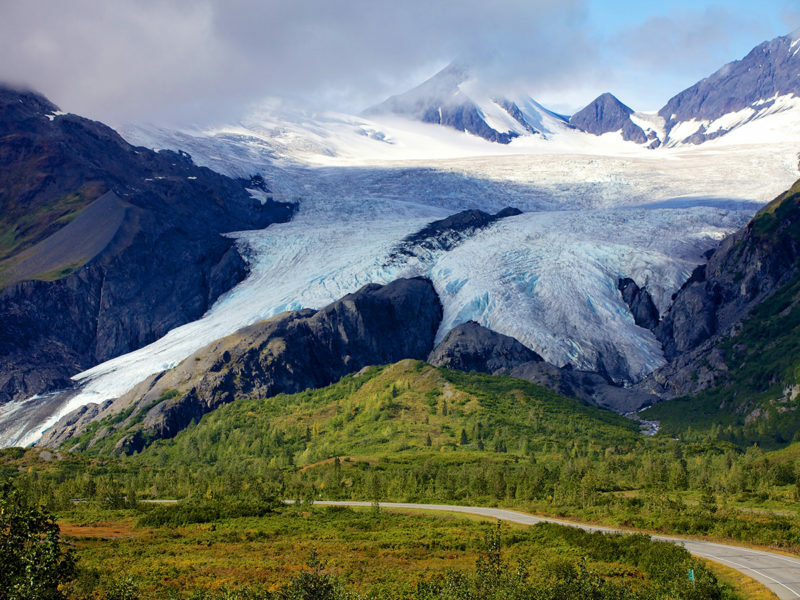 But the beauty and thrills that Alaska offers make it a place you really can’t miss, and our travel vans offer a several advantages that mean that your Alaska trip won’t break the budget. 1. It’s a rolling hotel room. Campgrounds rarely cost more than $50 per night—and are most often somewhere between $10 and $30, even for the nice ones with bathrooms and showers. It’s true that some of the more popular ones fill up during peak season, so it’s a good idea to make reservations in advance, but some of the more isolated ones never do, and those are often the least expensive, too. And, while campgrounds are cheap, if you’re flexible and creative, you can sometimes still find places to camp for free. 3. Cooking costs less than eating out. RVs are big: long, wide and tall. And not very aerodynamic, which makes for a gas guzzler of a vehicle. Our vans, on the other hand, are still the same size as a regular minivan, and the rooftop tent was actually designed to minimize drag while maximizing sleeping space. They get about 23 miles per gallon on the highway, which is significantly better than a full size RV. 5. No extra parking costs. Believe it or not, you will probably have to pay for parking at some point during your trip, especially if you’re parking all day while out on a sightseeing tour. The travel van advantage is that you can park in a single spot, sized for a regular car. If you drive an RV, you’ll have to find an extra-long RV space, which is more expensive, or even take up two spaces, which means you’ll pay double. In a travel van, there’s no need to hunt up that additional change to feed the meter. 6. No extra campground costs. No trouble with parking also means no trouble finding a space at a campground that will accommodate your vehicle. Again, no renting an extra-long (and more expensive) RV space, and no need to pay extra for hookups or the spaces that are designed for generator use. You can camp in a dry campground, in a space designed for a regular car, and thus pay the least expensive rate. This is the kicker: We don’t charge for mileage. It’s all included in the nightly rental fee. So no curtailing your travels for fear of going over your daily allotment, and no surprise expenses at the end of your trip, either. Go as far or as near as you want, and go back again. All of our travel van rentals always include unlimited mileage. Bonus: Can you really put a price on freedom? A travel van is about freedom and adventure. Because that’s really what Alaska travel is all about: The independence to explore and discover and experience this incredible landscape for yourself. That’s hard to find when you’re worried about how much it will cost you. And that’s just what camper van travel is all about, too! So if cost is a determining factor in your decision to travel to and in Alaska, renting a travel van is clearly the best choice. We can’t make Alaska itself cheaper, but we can defray the costs a little. Rent a travel van, and you’ll have more money left to spend on the important things—the experiences, the memories, the things that are worth so much more than they cost.